Retain your talent through good business practices and competitive wages and benefits. Organizations should have a compensation policy that guides wage decisions such as whether they want to be in a lead or lag position. Contrary to some theories, the 2010 Towers Watson Global Workforce Study of 1,176 global companies revealed that competitive base pay was ranked as first choice by both employers and employees in why an employee would want to join a firm. The lack of fair wages can be a strong dissatisfier, so take the issue of money off the table. A crucial factor in determining pay rates is the need for equity. Pay equity requires equal pay for jobs of equal value, regardless of gender. Externally, pay must compare favorably with organizations in the market or they will find it difficult to hire and retain good employees. 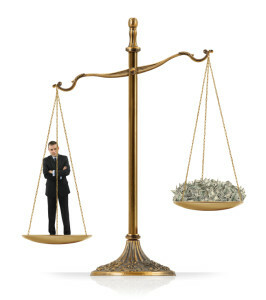 Internal pay rates should be equitable compared to other positions with a similar scope of responsibilities, competencies, skills, and physical/mental requirements within the organization. A Pay Structure is designed to provide a framework for equitable, fair and consistent pay rates for each position. Like-positions are grouped into the appropriate grade. Within each grade is a pay range with a minimum, midpoint and maximum that provides structure for pay adjustments. Pay adjustments are made for various reasons, but typically they are reviewed annually. Adjustments should be tied to the employee’s performance appraisal.